Shalliley Books has a new author – Tom Ashworth. 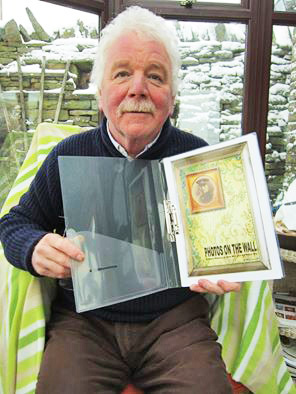 He has researched and written a moving account of 34 boys from New Mill who died in WW1. It is in the early stages of preparation for publication. Tom was born and brought up in the Midlands, in Burslem, one of the six towns of the Potteries. Both of his grandfathers had fought in the Great War. Both had been badly wounded and were permanently disabled. They spent a fair proportion of the rest of their lives re-living their experiences with old comrades, usually over a pint or three in the Ancient Briton pub, where Tom listened, fascinated. By the 1980’s Tom was taking history students and WW1 veterans on trips to the battlefields of France and Belgium as well as writing extensively on aspects of the war. His Master’s degree dissertation, taken at Huddersfield University, was based on the experiences of Cecil Wedgwood (owner of Wedgwood Potteries in 1914) and the 8th Battalion, North Staffordshire Regiment. After periods teaching in South Wales, Liverpool, Leeds and Sheffield, Tom and his family moved to Holmfirth where he joined the New Mill Male Voice Choir. It was there that he became interested in the history of the village and particularly of the thirty four young men who went off to fight in the First World War and never returned.